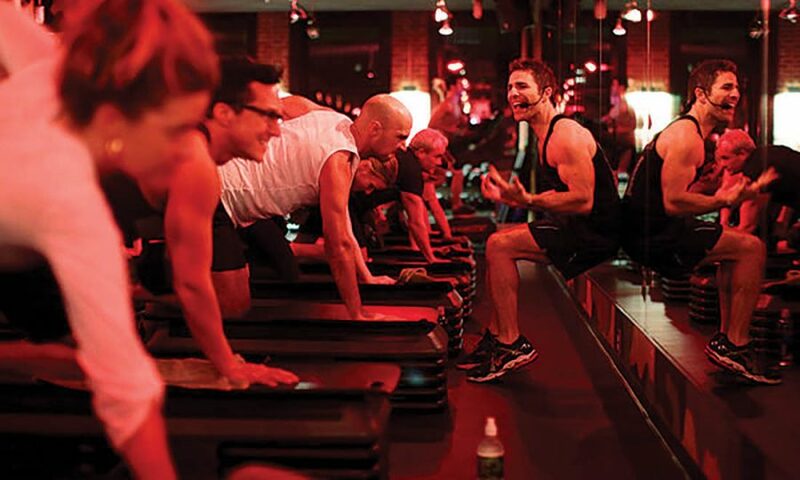 People workout with an instructor at Barry's Bootcamp. In today’s society, we pay close attention to physique and health. Many people do some sort of exercise during the week whether it’s going to the gym, going on walks or doing a workout class in order to stay fit or achieve an ideal body. A more recent trend is the rising popularity of workout boutiques that are mostly geared at millennials and have been popping up frequently around Marin. In fact, high-end workout boutiques now make up 35 percent of the $25.8 billion fitness market, according to the International Health, Racquet and Sportsclub Association. So, I decided to skip my daily gym visits for three days to test out three different boutiques in Marin and San Francisco. After hearing about Barry’s Bootcamp, located in San Francisco’s Marina District, I decided to make it my first stop, mostly because I heard it was the hardest workout boutique and I wanted to get it out of the way first. I chose an ab class, which meant that I had the option to either start on the floor doing weights or start on the treadmill. After a few minutes, the instructor entered which signified the start of my a** beating. The instructor began very harshly; he frequently yelled at anyone who he thought wasn’t performing well, which made me work harder to reach my potential because I did not want to be yelled at by a middle-aged hulk. After running for a solid five minutes, I started to notice my eyes focusing more and more on the clock in front of me, which made each second of running seem like an eternity. Finally, after 10 grueling minutes on the treadmill, it was time to go on the floor. Because this was an ab-focused class, we did some ab stretches such as the v-sit and were instructed to follow certain exercises, which surprisingly were easier for me and didn’t meet my expectation in terms of rigor. As the class progressed, we continued to rotate between the treadmill and the floor. With every rotation, we were instructed to increase the speed and amount of reps per exercise which were much harder than the previous one. As I began to pay closer attention to the time, I lost the ability to engage and persevere through the exercises..
With three rotations down, the final treadmill set was the hardest of all and I struggled to keep up, but I was motivated by my partners who encouraged me to work my hardest. For the last time on the floor we used weights and did various exercises with them, which is something I have experience with, so it wasn’t too hard. The next morning I woke up more sore than I have ever felt. Although it was severely difficult, I would recommend Barry’s to someone who is athletic and is wanting to be whipped into shape. I appreciate the intense way the class is run, which made me work as hard as I could. If you don’t feel fit quite yet, I recommend training before doing a class. Price: $23.33 each for the first 3 classes, $29-35 per class (depending on package), Membership: $336-530 (depending on tier). 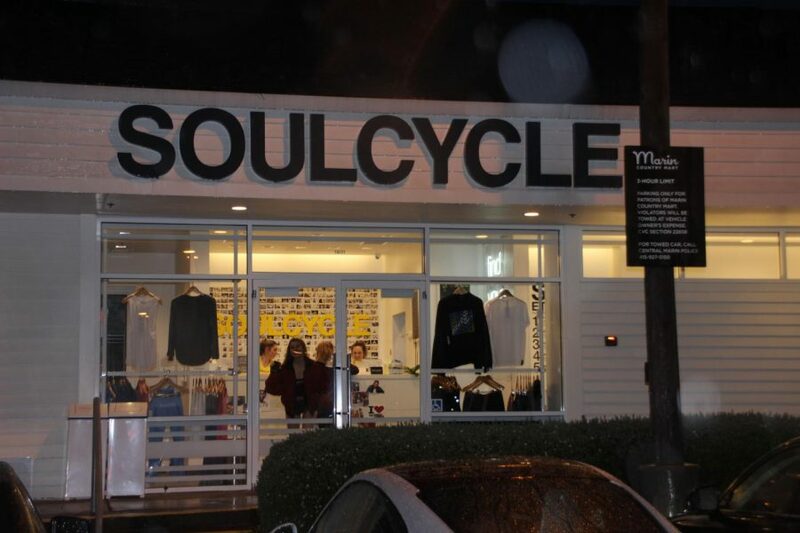 SoulCycle has been a well-known cycling boutique here in Marin for the past few years and has gained popularity all over the country. I went to the location at the Marin Country Mart in Larkspur; they also have studios in San Francisco and Sonoma. I decided to do the Hip-Hop Tuesday: Best of the 2000s class because it sounded like the most interesting option, and who doesn’t love early 2000s music? For the first couple of minutes, we started off out of the saddle at a slower pace with no resistance. We then did some bump backs, which entail bumping your rear end back in the saddle and then doing a crunch immediately after, which made me feel like I was on a wild bronco. These bump backs were definitely the fast-paced part of the class in terms of moving. Where I really lost my breath was when I had “twist up” the resistance and get out of the saddle. As time progressed and I continued to turn up the resistance, my legs started to burn. Just when I was starting to feel uncomfortable, it was time for weights. Though I initially scoffed at the three-pound weights, the intensity of each exercise made my arms burn, leading me to feel like I was being pushed to my maximum potential. Skullcrushers stood out as particularly rigorous, making getting back on the bike directly afterward actually appealing. I thoroughly enjoyed my SoulCycle experience and I would definitely do it again. The combination of vibrant music and the instructor’s radiant, encouraging personality made the class exciting and much different than just going to the gym. OrangeTheory, the newest workout studio in Marin, has become a popular stop for prominently Marin moms to work out. There are two locations in Marin: Greenbrae (Bon Air Center) and Strawberry (Strawberry Village). I decided to go to the newer location in Strawberry, and since I was a first-timer, I was asked to come 30 minutes early so that I could be properly introduced to the class and equipment. I was already familiar with much of the equipment, however, I appreciated that they want to make sure everyone was proficient in operating it before class starts. Starting on the ergometer, I felt that the workout was going to be easier than starting on the treadmill. After three minutes of this, the floor exercises were not that challenging in my opinion, but I did feel pushed on a few of the reps. The treadmill was the third component, and on the treadmill, there are three options of skill level: power walker, jogger and runner. I consider myself an adequate runner, so I chose jogger, which is the middle skill level. I started off slow, and slowly worked up to a running pace of 7.5 mph, which I ran for 10 minutes total. Unlike Barry’s treadmill workout, there is much more resting time, regardless of skill level. This is needed for most people, but I wanted to be pushed to my full potential. My time on the treadmill didn’t feel very challenging, and although this class was 15 minutes longer than the other two it felt the shortest to me. In addition, even though my monitor said I burned 850 calories, I barely broke a sweat, which was disappointing. 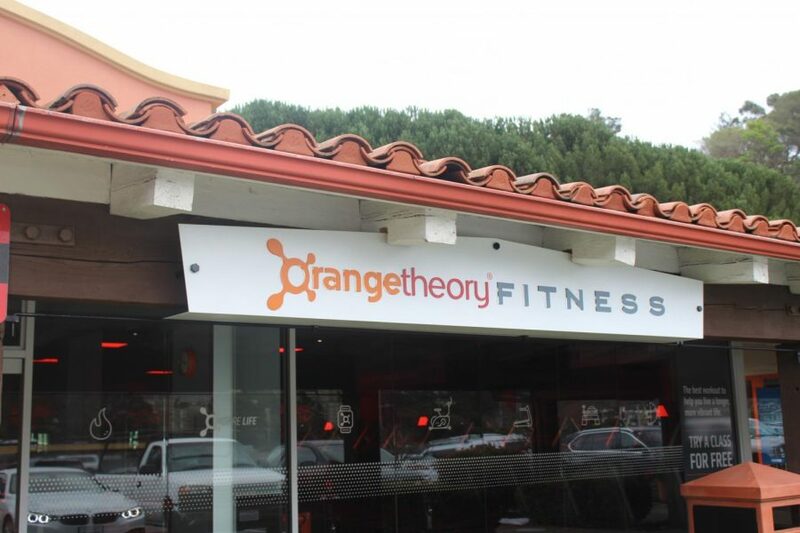 The dynamic of OrangeTheory felt more fitting for people who want a less intensive class. Personally, I feel that I could get a better workout at my gym as opposed to paying for a class here.